Will it become a trilogy? 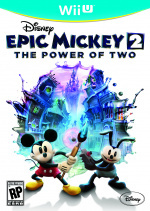 Epic Mickey 2: The Power of Two is out right now on Wii and Wii U. The game sees you painting your way through several Disney-esque levels with Mickey and his pal Oswald and is designed with two players in mind. 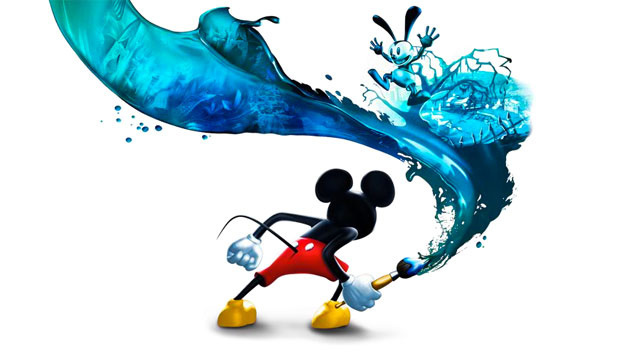 I'd love to see the Disney Epic Mickey series continue - there are plenty of stories still to tell about Wasteland and Oswald the Lucky Rabbit and Mickey Mouse! We go a step further, changing the actual orchestration based on how you choose to deal with game challenges. They're not interactive - in THIS game - but using songs as storytelling tools seemed necessary for a game that claims to honor Disney's creative history. I'd love to see some Oswald games, where he's on his own. He deserves a shot at solo stardom. Then there are the ‘duck’ games - Donald, Scrooge, etc - that are just waiting to be made. And a bunch of us at Junction Point have thoughts about Goofy and the Gremlins and a hundred others. What do you think? Would you like to see an Epic Mickey 3? Which Disney characters would you like to see get their own game? Let us know in the comments section below. How about a Wii Remote patch for the Wii U version first? I actually hope they do and this time take on board the flaws of the series so far, paticularly the second game. EM1 was great but EM2 was a big disappointment. I've played through both (first one 2 times). Are you guys going to review the Wii U game? Would be interested to here your thoughts actually. Still a bit disapppointed they didn't fix the flaws from the first game (haven't actually played the game yet just judging from what i've heard). Go back to the original vision for Epic Mickey, we have the power now with the Wii U. Otherwise bugger off Wazza, thats twice Ive been burnt by your Epic Mickey games, which have hardly been epic at all. LOL Spector, I haven't even played my copy of the first one or bought the sequel or Power of Illusion, so take your good sweet time. I love his ambition, I'll give him that. I have to agree with SteveW before starting a third installment please make a patch for Epic Mickey 2 for the Wii U at least!!! I really liked Epic Mickey and was looking forward to Epic Mickey 2 but its rough…i understand it was rushed and they didnt have that much time but please take the time to make a patch for those of us who believed in and bought Epic Mickey 2 before moving on to the next one. I agree with Spector the potential is there but leving a bad experience in the gamers mind is not a good idea. Using the Wii mote is awesome but maybeu should take more time thinking about how to really use the gamepad instead of jus a map…how about using the gamepad like Mario U and having the 3rd person play as a gremlin and help mickey and oswald! and how about being allowed to play the whole game on the gamepad a popular Wii U feature that was ignored for some reason. I always get a whiff of the Molyneuxs from Spector. The intentions are good, the ideas are interesting, but the execution never delivers. I ploughed through Epic Mickey because of my love for the source material. Take the license away and my patience wouldn't have held out. If he really wants to incorporate music, Mickey could be dragged into Music Land from the Silly Symphonies in EP3 - then they could really have some fun and integrate it meaningfully. In the hands of EAD I think it could be incredible, but JP needs to up its game with the basics first. I would absolutely buy a new DuckTales game. Make it happen, Warren. Make it happen. I love where Spector's heart is. His ambitions aren't exactly manifested like he intends, i think. It's really hard to get an idea across so well that the entire team you work with (who you NEED to make it happen) can get behind it and do it. I enjoyed Epic Mickey... haven't played 2 yet, but thought that some real love and attention went into bringing fans of the Disney-canon a fun experience. I hope the 3rd x's the charm! Seriously, get in contact with Sega and Capcom and start with the porting first. There are too many great games being left behind. Think its time for this team to give up. When quality control is not considered before releasing a title, there's just no point. Waste of everyones time and money. Why put effort into something for it to get reviews of 50%. Think there should be independent team of play testers who have to give an average review score of 80% for a game to even be considered for release. That way everybody wins. Companies would have a product they're proud and gamers have a game worth buying. Releasing garbage shouldn't be allowed, especially when its 50 quid from a child's birthday money. In a Nintendo Power interview, Specter hinted at a 3rd game with Oswald being a full time available character like Mickey. I was looking forward to this game and planning on getting it at launch but reviews have been off putting, mentioning the camera, platforming, AI, and several other issues. 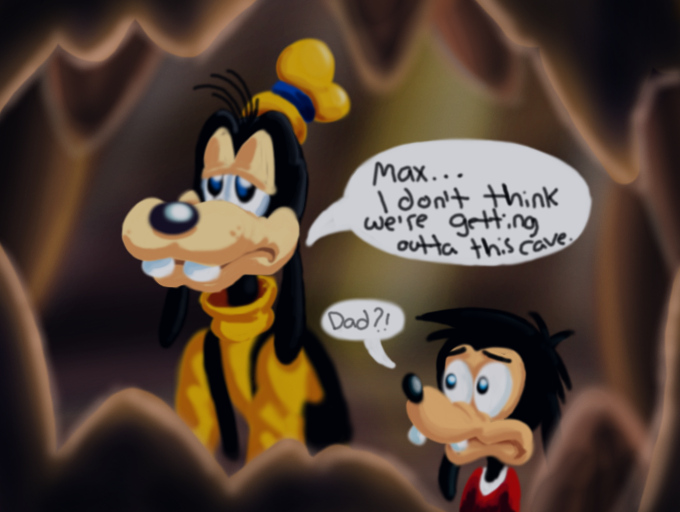 I would dip into the series if a third epic mickey was released but only if they actually made some improvements and not release a rushed and unpolished game. I haven't played Epic Mickey 2 yet, but I really admire Warren Spector's enthusiasm - especially in this cynical day and age. Maybe the threequel could include rejected Marvel and Star Wars material? Maybe if they make a third one they'll actually MAKE AN EFFORT TO IMPROVE ON ITS FLAWS. There's so much potential here, and I was so darn SURE that the second one would be the definitive title, but it's like they didn't even try! I'll start playing part 2 at Christmas. I'm hoping a part 3 is along the way. I enjoyed the first, despite one)its flaws and two)the fact I never actually finished it. Releasing two games the next year though is what I expected Disney to do... Which isn't an issue in itself, but judging on what I've heard from their reception it seems like "EM Sequelitis confirmed". Which is a real darn shame... Because the concept has so much unrealized potential. Props to Warren for his continuing enthusiasm for it though. Hopefully the next game will truly iron stuff out. The first game was an absolutely fantastic game,yes it's flaws brought it down,but it was an incredibly clever game.It's story was really quite dark and mature for a Disney game,and I loved it for that. I'm getting Power of Two for Christmas,so I'll be playing through that this time in two weeks time,but I've heard the story isn't as good as 1,and the flaws from the original haven't been worked out.With many people call it an okay sequel,not an amazing sequel. I do hope the game gets a 3 game in the series,even if the Power of Two could be crap,I love 3D platformers,and I love Mickey Mouse,both of which seem to have found themselves in the Wasteland. Epic Mickey features the worst videogame camera in the History. Epic Mickey 2 was a disappointment for most players and critics and Power of Illusion is a strange mix which just does not work so... Why do still people care anyway? I hope for the good old SNES and MD Disney games to be released for the VC, but they don't show up, I don't know why. Epic Mickey 1 was terrible, it was BORING, combat was over simplified, the camera was horrid (it REFUSED to show me the platform I was trying to jump to, it froze in a position where the platform wasn't visible and I had to blindly jump, multiple times, dying each time), and on top of that, Disney disallowed the original concept that making too many bad decisions would lead to a bad ending, instead they made it so the ending was good no matter what, essentially making it so your "moral choices" are meaningless. When I heard not even the camera was fixed in Epic Mickey 2, I didn't even bother with it. Bless Warren Spector's heart, but after two disappointing installments, you'd think that he would either a) believe that it is time to abandon the franchise altogether or at least b) give it a long hiatus. Have fun, mister Spector! I don't believe it anymore! The first Epic Mickey was far from epic, and number 2 seems to be a real stinker from what I have heard!! I want a third game and clara clok in the next game.